The LTI plugin is enabled when there are no warning signs on the plugin page and the text at the top reads “The LTI API is enabled”. 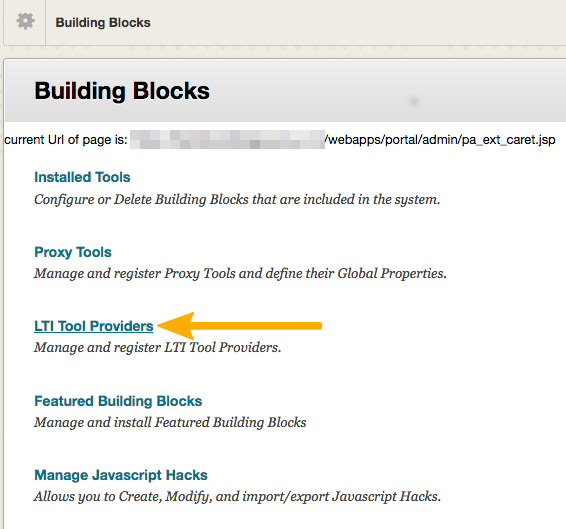 Select “LTI integration” from the drop-down menu. 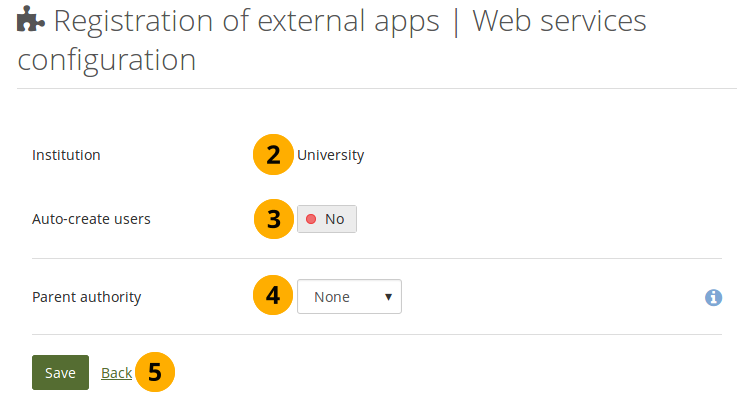 If your institution does not already have the “Web services” authentication method, it will be added automatically. 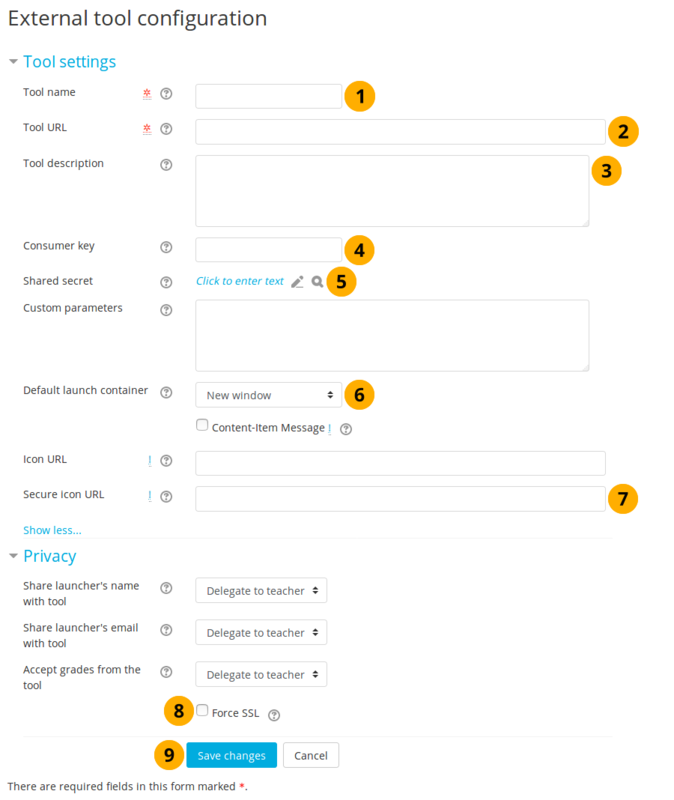 At the moment, you can only choose to have users created automatically when they log in via LTI for the first time. Setting the switch to “Yes” is typically a good thing because then any user from your LMS can go into Mahara directly without having to have an account set up beforehand. Auto-create users: Flip the switch to “Yes” if you want to allow anybody who has access to the LTI link to create an account automatically. Search for “mahara” in the search field. Configuration Type: Select “By URL”. 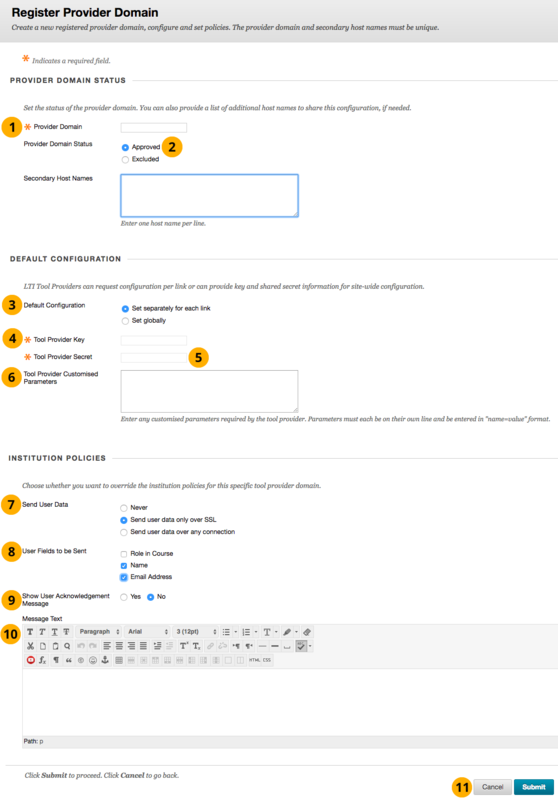 The configuration parameters are available in your Mahara instance. Default launch container: Choose “New window” or “Existing window”. Do not choose to embed Mahara. That will not work as you are not allowed to embed Mahara into other websites. Furthermore, it will reduce the space that you have available to work in Mahara. 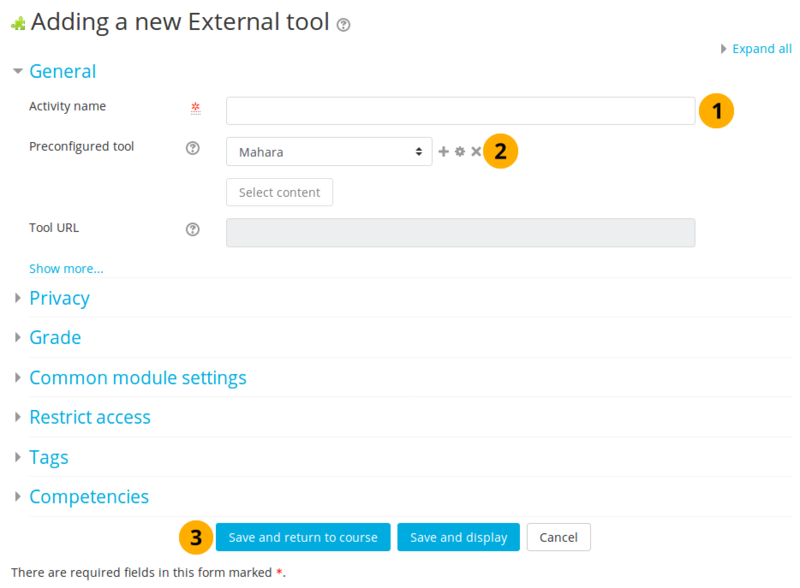 If Mahara was already set up as external tool on the site level in Moodle, a teacher only needs to select it when adding the “External tool” activity in Moodle. 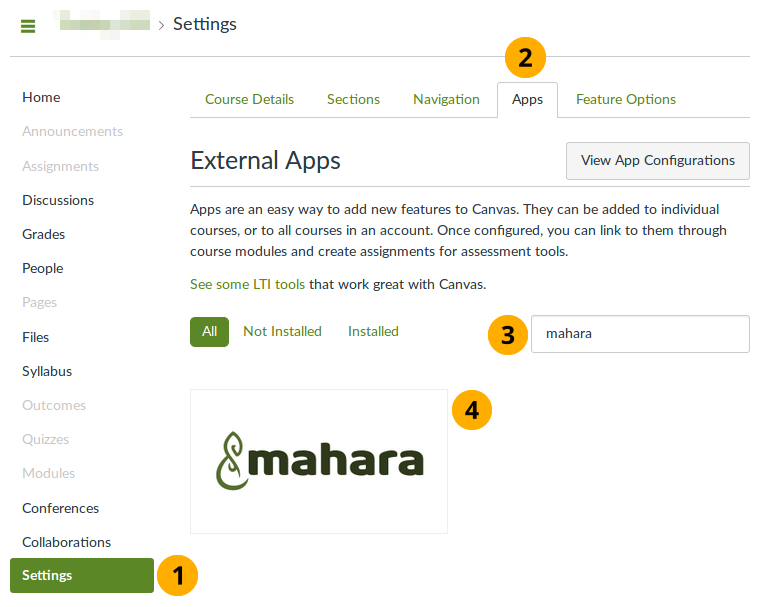 Preconfigured tool: Select your Mahara instance from the drop-down menu. It may not be called “Mahara”. 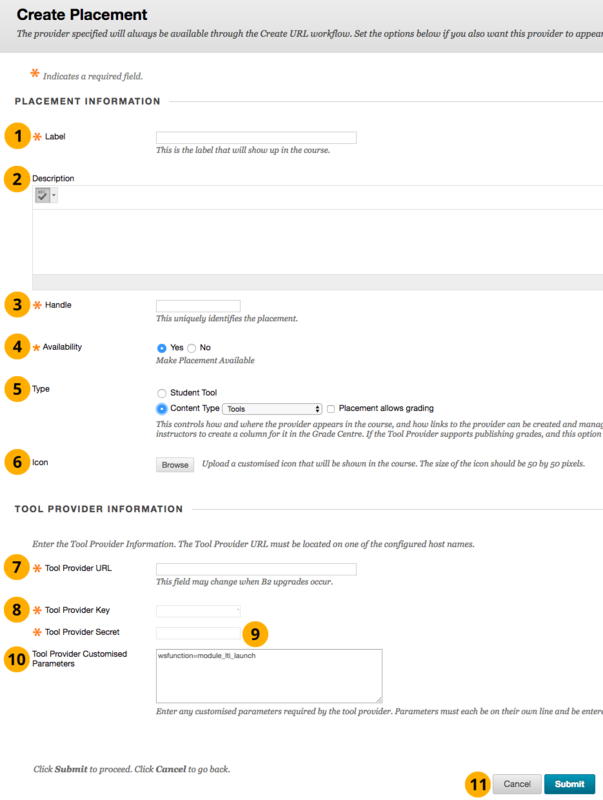 Certain fields are not editable when you choose this option as they are determined by the existing site-wide configuration. 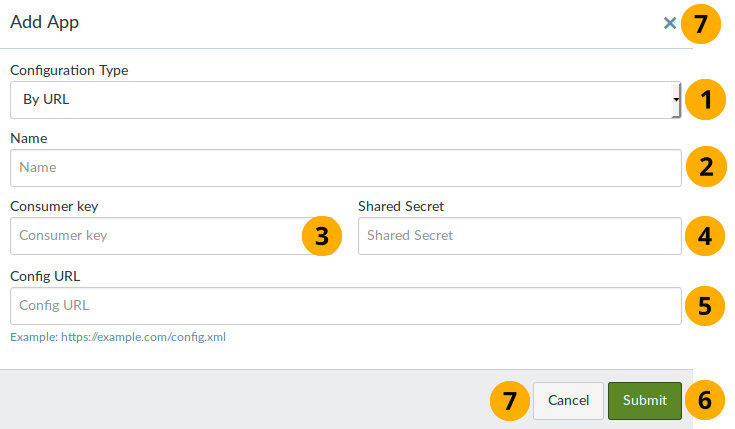 Preconfigured tool: Select “Automatic, based on tool URL”. You could use the “Tool URL” field, but since web services in Mahara only work over SSL (unless you have a developer instance), choosing the “Secure tool URL” is recommended. Launch container: Choose “New window” or “Existing window”. Do not choose to embed Mahara. That will not work as you are not allowed to embed Mahara into other websites. 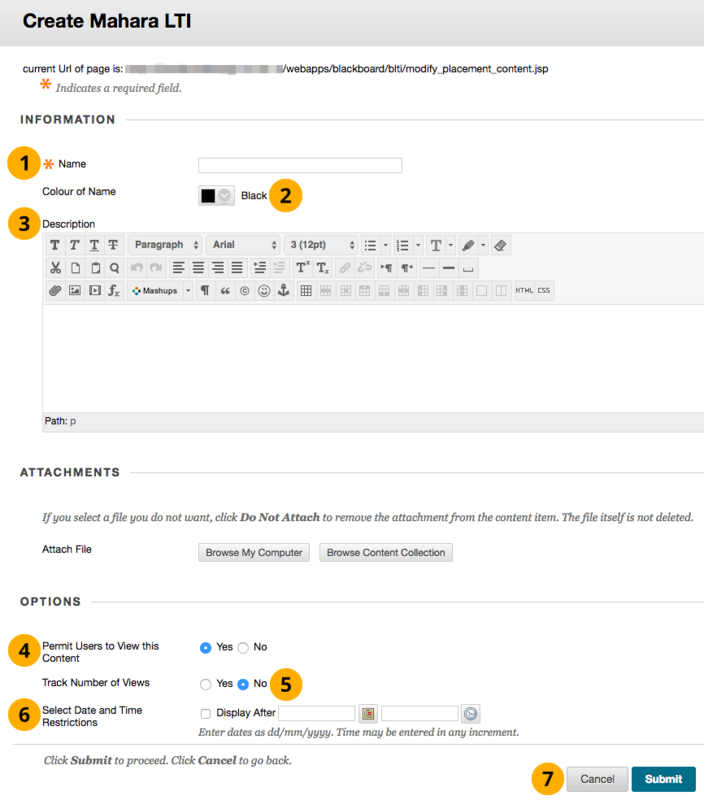 Furthermore, it will reduce the space that you have available to work in Mahara. 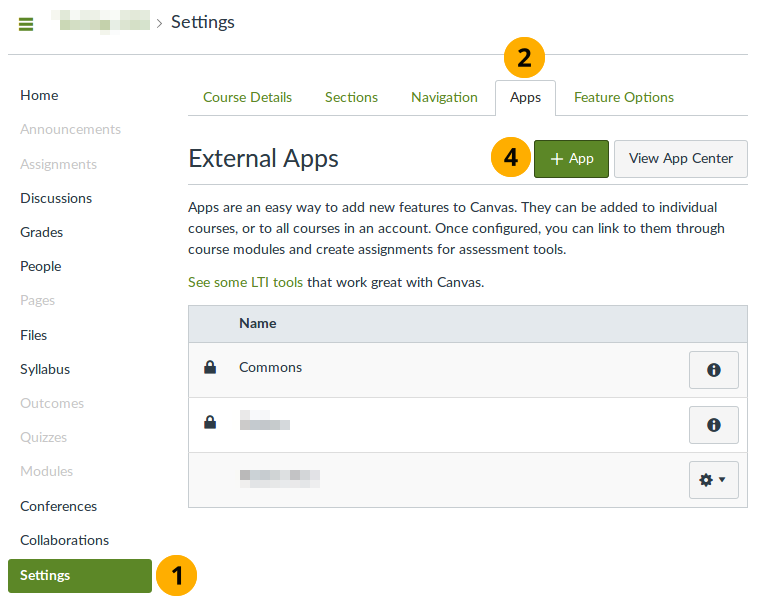 You can set up the connection to Mahara via LTI through the built-in “Basic LTI Tools” in Blackboard. 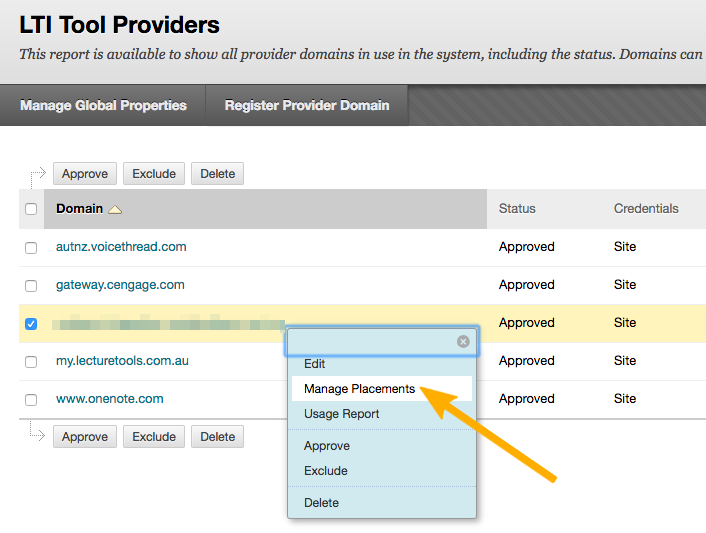 Provider Domain Status: If you want to use the LTI connection, you should select “Approved”. Message Text: Enter the text for the “User Acknowledgement Message”. Availability: Choose to make the placement available or not. If you select “No”, you can prepare the placement, but your students will not see it. Type: The type decides how students can interact with the tool. 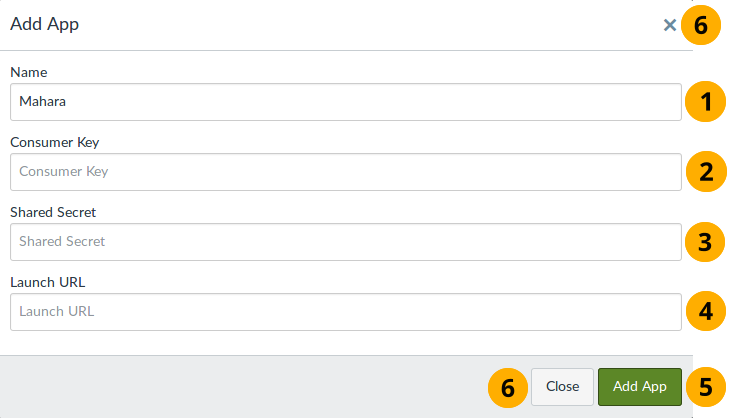 Choose “Content Type” and select the “Tools” option. 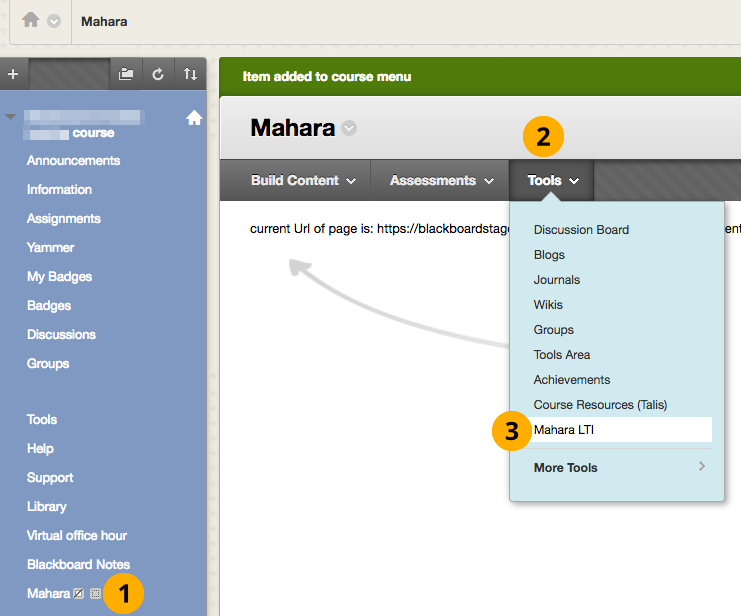 Click the “Mahara” placement in your course navigation.